Pair one of these sets with a finelydrawn coloring book for grown-ups for the perfect gift. 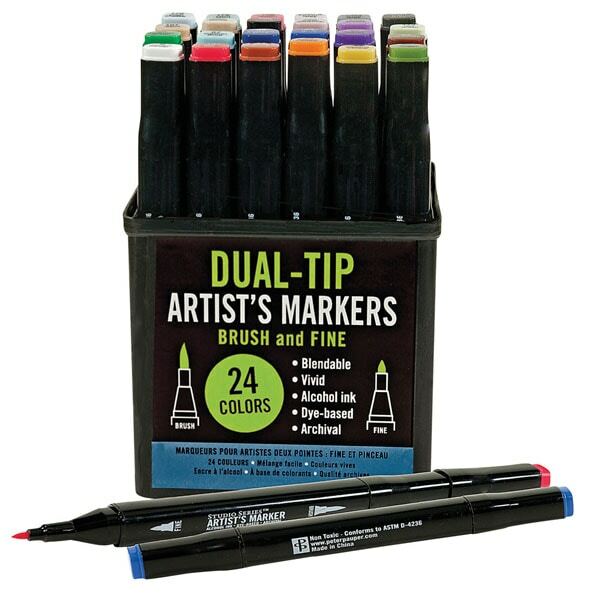 Dual-Tip Artist's Markers are vivid, blendable, and archival. Each has two tips, brush and fine, for broad coverage and detail work. The alcohol-based inks won't damage the paper's surface and will draw on almost anything. Set of 24 colors, each 6" long, in a storage case.